The Chinese handset maker – OPPO is known for offering bleeding edge smartphones under its R-series. Earlier this year, the brand launched the R15 and R15 Dream Mirror Edition in its home market, which flaunted an iPhone X-like notch above the screen. The brand followed them up with the launch of R17, which came with what is now known as waterdrop notch. It seems that the brand is not quite done with shrinking of display notches. 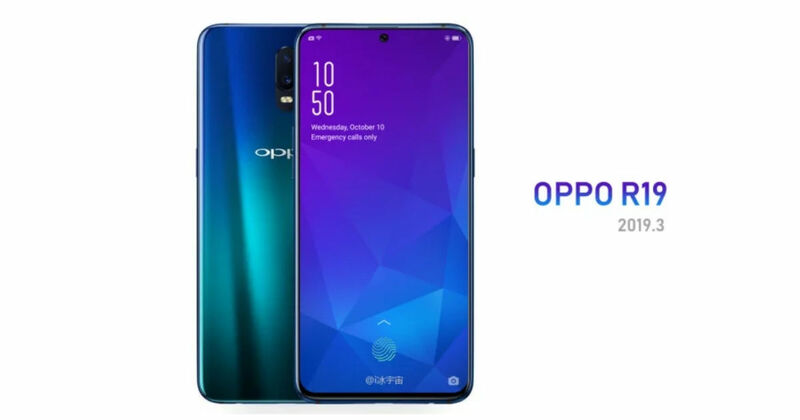 If the recent reports are to be believed, OPPO R19 will have literally no notch and no, there is no sliding mechanism at work here. 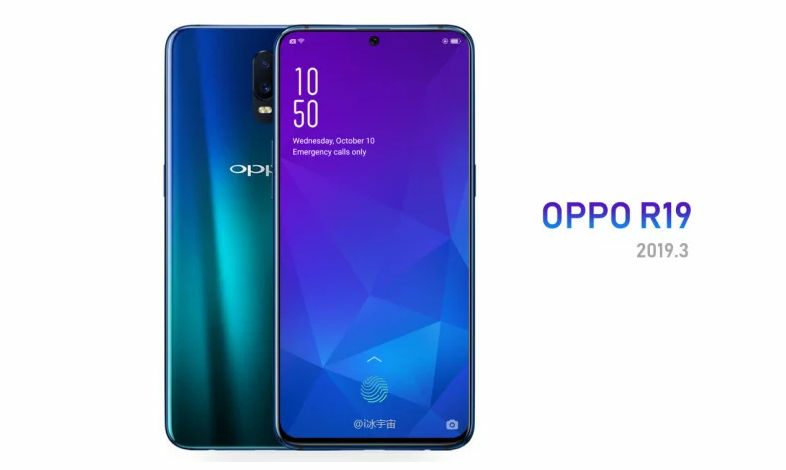 The popular tipster – IceUniverse revealed that OPPO is indeed working on its next flagship smartphone called R19 and also shared a render of the handset. In the leaked render we can see that the upcoming smartphone will come with no bezels at all on three sides and a very minimal chin. In case of notch-less displays like this, we immediately assume for it to have a sliding mechanism, the likes of which have been seen on OPPO Find X (first impression). However, that’s not the case here. The display of the OPPO R19 seems to have a tiny hole on the top centre position, which is, in fact, the selfie camera. Speaking of which, it’s not clear yet if the selfie camera lies inside the glass or there is a cutout for the same. Apart from this, we can also see the fingerprint icon on the bottom edge of the display, hinting at the presence of fingerprint scanner under the display. The render reveals that the R19 will come with a glass-sandwich design featuring a blue-green gradient colourway. The rear panel of the smartphone is seen housing the dual camera module in vertical setup dual LED flash. However, nothing much is known about the specifications of the handset at the moment. The teaser image of the handset reveals that the brand might launch the OPPO R19 in March 2019. However, the pricing and availability details are not known yet.